Everyone likes a good, "Top Ten" list right? I resisted doing this list for a long time, not out of principle, but because any list I do will reflect only my opinion. Paints are very subjective and each Artist will have many reasons why they like one particular paint over another, that's just how it is with almost anything in life. It's a bold thing to say these paints are the best of all, but life is short and so what the heck. 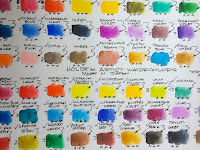 And, enough people on my YouTube channel have asked what my top five or ten favorite watercolors are, that it just made sense to finally do a video. Here are a few additional thoughts. No 1. Schmincke Horadam Watercolors are my very favorite and I think the best all around watercolors in the world. The color is absolutely consistent, vibrant and of the best quality. Many of their paints are single pigment although not all. I'm almost certain they use brighteners in the manufacturing process, but that doesn't bother me because the colors never disappoint. The dispersion is the best in my experience. 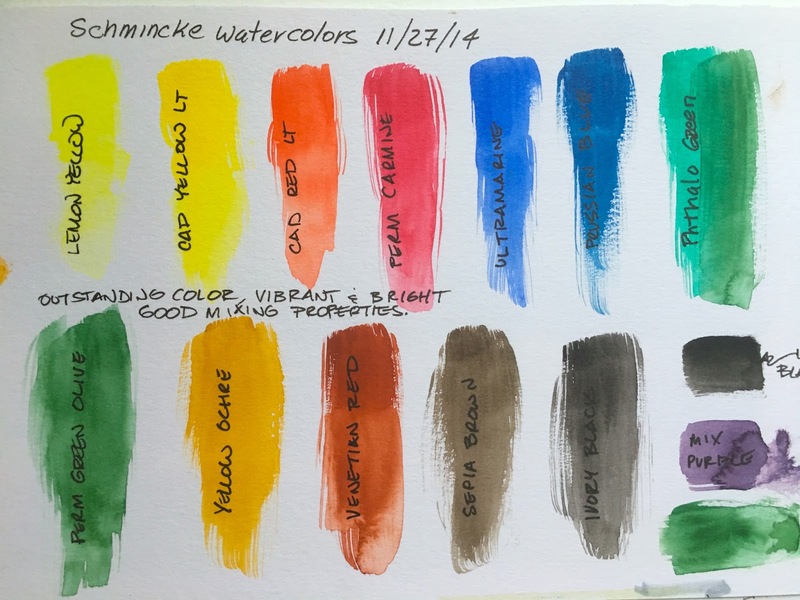 Most of all though, I love what Schmincke paints do for my work. No 2. Daniel Smith are American made watercolors that I would guess are on many Artists top five list and many would pick as their number one. It's hard to argue with that because Daniel Smith are very outstanding paints. They are especially so because they've only been at it for about 30 or 40 years, when the rest of the world has had centuries. 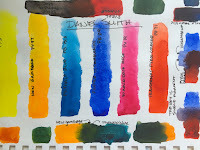 Daniel Smith paints are distinguished by outstanding color, lightfastness and quality. They make some very unique colors that other manufacturers have tried to copy. They have a line of colors that a mineral based and this highlights their commitment to innovation and bold thinking. 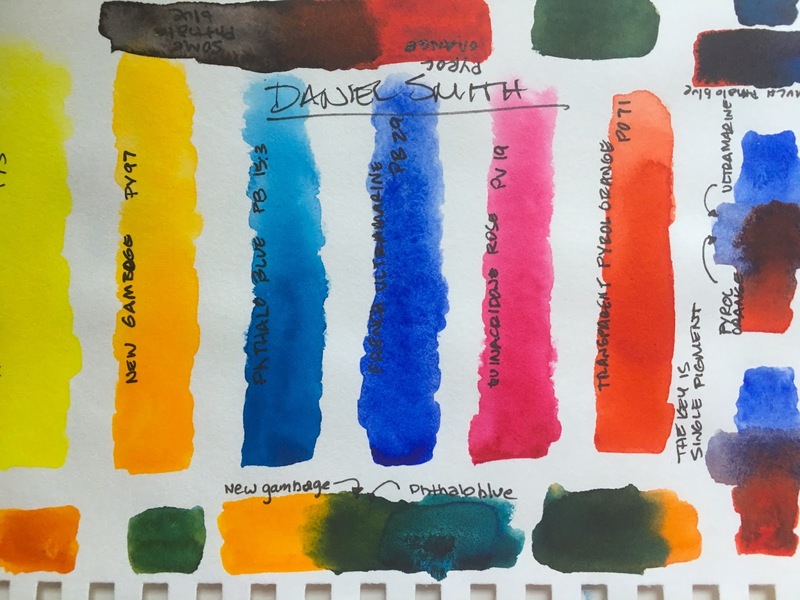 Daniel Smith makes great watercolor paints, just ask any Artist. No 3. 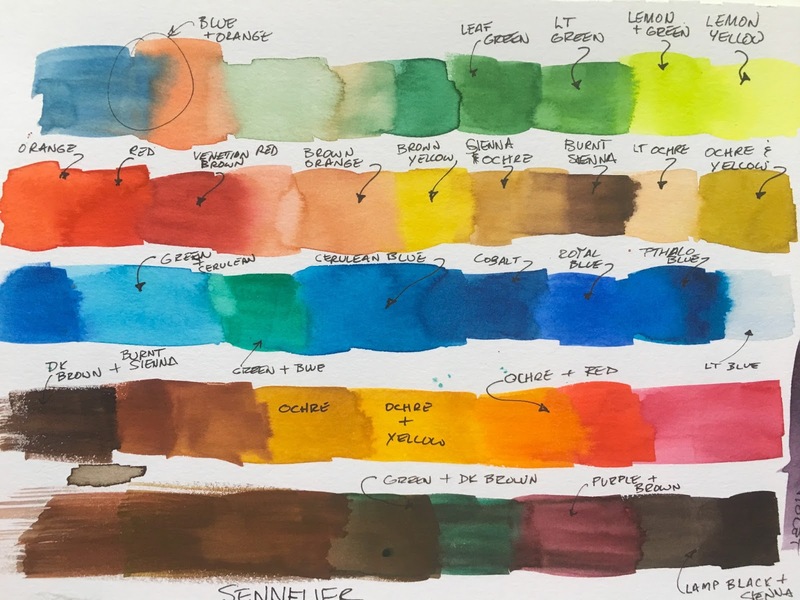 Senellier Aquarell are some of the finest watercolors in the world, in my opinion and they almost took the number two spot. Some Artists refuse to use any other paint and I can't blame them. Senellier is like painting with love. They are luminous, and extraordinarily well made paints. Made with honey, they have outstanding color and dispersion. If that weren't enough, they have great history. 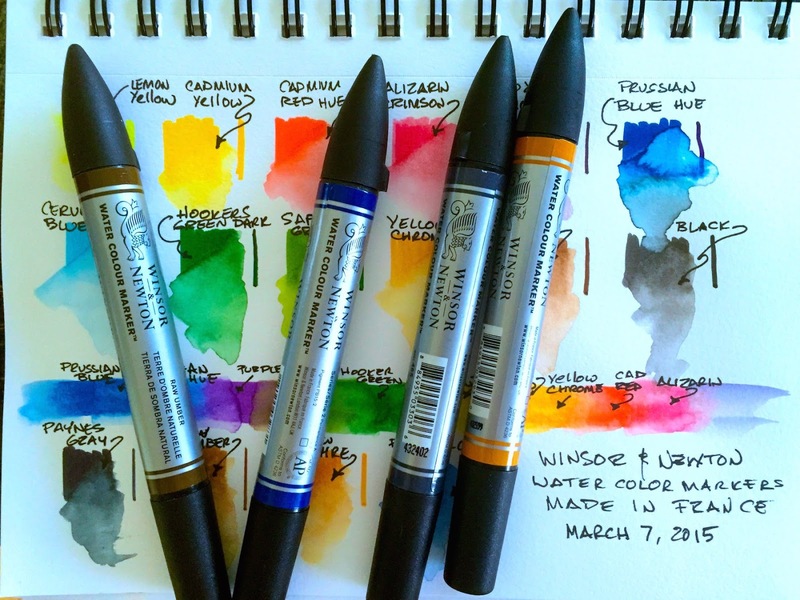 Used by some of the very best Watercolorists for more than a hundred years, they've stood the test of time. No 4. Holbein made in Japan. 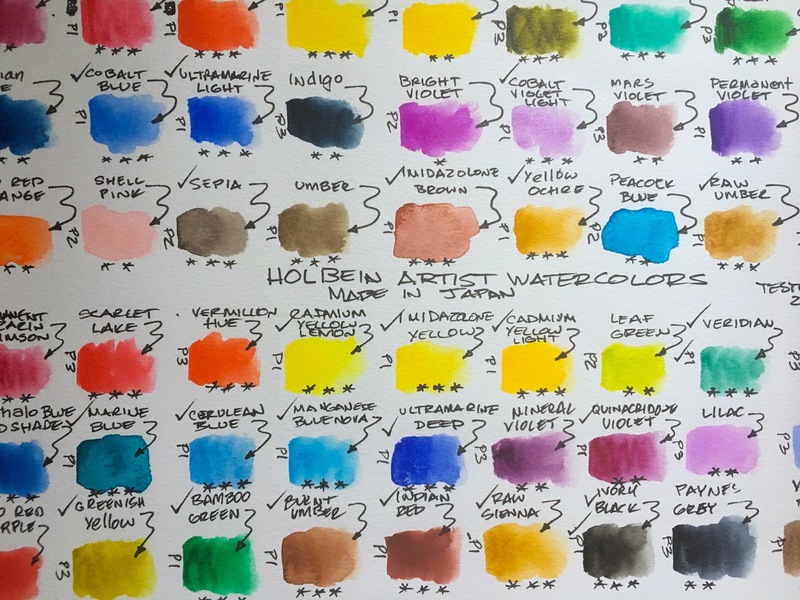 Like their oil paints, Holbein puts an emphasis on quality and consistency. These are precision made paints, with lot's of single pigment colors. Although these tend to be a little on the opaque side for some Artists, I've never found that to be a problem. 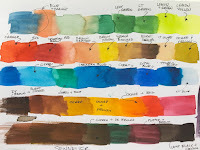 I had a recent phone call with their headquarters in Japan to find color charts that discussed the pigments and they generously sent me out an entire library of information. No. 5 Winsor & Newton Watercolor Markers - Made in France, these aren't even in the category right? For me they represent a product that both defies and transcends the definition. They are so excellent to use and the colors are so outstanding that I couldn't, in good consciencous, leave them off the top five list. If you want to see the rest of my top ten, you'll have to check out the video: (That's what they call cross-promotional marketing genius) LOL.